Imagine you are responsible for customer satisfaction at ACME Inc. Every month you track customer satisfaction rate for the 3 products you sell which are conveniently named Product A, B & C.
You also have bands for the satisfaction rating. At the end of the year, you want to visualize the ratings for last 12 months for 3 products along with bands. 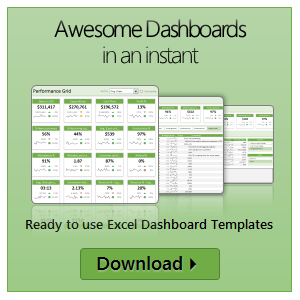 Unfortunately, there is no “Insert Banded line chart” button in Excel. So what to do? That is what we will learn today. Ready?